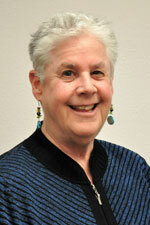 Maureen Weiss - School of Kinesiology, Univ. of Minn. I am proudest of my many academic sons and daughters who have contributed meaningfully to our lines of research over four decades, and who have enriched my life personally. Those in academia have established themselves as strong scholars, with systematic lines of research and committed service to the profession, and others have pursued careers as coaches, research scientists, and other helping professionals. I have mentored 25 doctoral students and 36 master’s thesis or project students, and countless other master’s students (comprehensive exam option). A full listing of my doctoral and master’s students from 1981-2020, including graduation year and university, title of dissertation/thesis, publication of dissertation/thesis, appointments, promotions, professional offices, and recognitions can be found in my Mentoring Document, upon request. For 37 years, my research has focused on sport and physical activity as a context for promoting youths’ physical, social, and psychological development. My work takes a developmental theoretical perspective, by considering youths’ cognitive, social, emotional, and physical abilities in describing and explaining variations in behavior related to motivation, self-perceptions, social relationships, moral development, and observational learning. My research interests emanated through my experiences as a youth sport coach for Newport Beach (CA) Parks and Recreation when I was a college student. I taught age-group volleyball and softball to youth ranging from second grade through high school. I observed the potential for sport experiences to enhance children’s interest to continue playing, create friendships, and resolve disagreements. My experiences as a high school and collegiate tennis and basketball player suggested such potential, but seeing how young people learned skills, cooperated as a team, and matured socially and psychologically as a result of positive sport experiences was an epiphany that changed my life course. I pursued my interests as a doctoral student and research assistant in the Institute for the Study of Youth Sports at Michigan State University. After graduating, I navigated the ranks of assistant, associate, and full professor at the University of Oregon (1981-1997), where I also served as Director of my real-world lab—the Children’s Summer Sports Program (CSSP). This program, of which I am proud, served not only as a research venue, but also as a service to the Eugene community and as a valuable teaching opportunity for graduate students. My students and I conducted research on observational learning, motivational orientations, perceived competence, sport friendships, coaching behaviors, and parental influence. In the late 90s, PBS produced a feature on youth sports in America and featured CSSP as a unique developmental sports and social skills program. In 1997, I left Eugene to direct the sport and exercise psychology program at the University of Virginia. I was fortunate to hold an endowed professorship in the Curry School of Education and continued my research with intellectually curious students. During this time, the positive youth development (PYD) approach was branded in psychology—that children and adolescents are resources for learning skills that enable them to thrive over the lifespan. Although many of us in youth sport science were taking such a stance, this concept took hold in psychology with studies conducted in social settings. As a sport science researcher, I continued my youth sport work within the PYD perspective. In the early 2000s, I developed a relationship with administrators and staff in The First Tee,, a physical activity-based positive youth development (PA-PYD) program that uses golf as the vehicle for teaching life skills. My students and I conducted a 4-year longitudinal, mixed-methods study that evaluated the impact of The First Tee in promoting PYD. This study provided evidence-based data that The First Tee is an effective PA-PYD program, due to its intentional life skills curriculum and systematic coach training. The First Tee features our longitudinal study of impact on their website in the form of a downloadable PDF. As a result of our evaluation research, The First Tee recognized me with their Founders Award in 2011, noting significant contributions to the organization and positive youth development. Years of developmental research culminated in publication of my text, Developmental Sport and Exercise Psychology: A Lifespan Perspective in 2004. My respected colleagues and students contributed to this anthology. More developmentally-based studies emerged following this publication, but more research is needed to understand variations in cognitive, social, and physical development as it pertains to physical activity experiences. In 2007, my academic journey from the West to the East Coast continued with a move to the Midwest at the University of Minnesota. For the past 11 years, my students and I continued to explore determinants and outcomes of participating in youth sport and physical activity using a developmental perspective. Lines of research continue on motivation, peer relationships, coaching behaviors, and moral development. My former students’ graduate students—my academic grandchildren—are now productive scholars and significant contributors to these lines of research. A developmental perspective prevails! Since 2009, my most fulfilling work has been with Girls on the Run, a PA-PYD program designed to enhance girls’ social, emotional, and physical development using running as a vehicle. I first served as a consultant to curricular development and coach training. Recently, my students and I conducted a longitudinal, mixed-methods study to evaluate the effectiveness of the program in promoting PYD. The results were conclusive of program impact and our work is featured on the Girls on the Run website. Wray Ward, a Charlotte marketing firm, produced a video that actively captures results in an accessible way. The study was communicated in CEHD News and CEHD Connect magazine. Girls on the Run recognized me with their Legacy Award, denoting meaningful contributions to the organization and the millions of girls benefiting from participation. In 2018, I was named by the National Afterschool Association as one of the most influential professionals in research and evaluation, based on distinguished contributions to research and evaluation on youth development.